We often here people speak of a "learning curve". By that we usually mean we take on a challenge which teaches us new things. 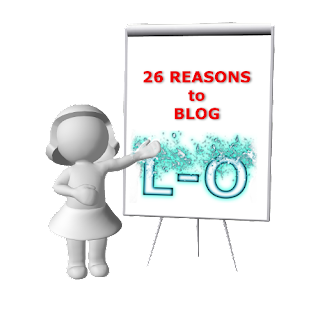 Today we're going to take a look at some of the things we can learn when we blog and how they benefit us in other ways. 12. L is for Learning. You learn about your topic. During the month of April, I wrote almost every day on the topic of Africa. I have lived on this continent since the age of four, and yet I learned so much about the countries of Africa, their cultures, flora and fauna. I compiled a “Blogging Bucket List” of places I want to visit, or revisit, over the next year or two. Many people who read my blog during the April, mentioned how much they too learned about this amazing land. You learn by doing research. I had to do quite a bit of research into Africa. For example, my brother and sister-in-law are currently on an epic overland adventure from Johannesburg in South Africa, up to the magical Serengeti Plains in distant Tanzania. I realized I knew nothing about Serengeti, so guess what? S is for Serengeti! And I now just wish I could have tagged along with them. You learn from what you don't know. I am currently doing this series of why writers should blog. I can think of reasons why I blog, but why do other writers blog? As I ask the question and read other writers' blogs, I learn more about the technique of blogging. You learn from other writers and make cyber friends. As you write about subjects that intrigue them, so they start visiting your blog, and if they leave comments this encourages you to pay them a return visit. In the process I learn about their passions, their home-towns, their hobbies, and many other fascinating information. 13. M is for Multitasking. You can share your experiences in a series format, then use it on another blog with modifications, or use them to form the skeleton of an e-book in the future. Blog posts can form a good basis for teaching topics. I intend to teach my online group for South African Christian Writers about blogging. We work on a Topic of the Week, and what more relevant than to tackle blogging for writers over a period of weeks? 14. N is for Newsletters. Blogging opens an opportunity to start a newsletter. I had been blogging intermittently for years before I signed up for the A to Z Blogging Challenge. Within the first few days, I realized I needed a way for people to sign up to follow my blog. Oh, they could follow my website through RSS, and a few did. They could sign up for my Closer Walk weekly devotions, and some did. But to actually follow my blog every time I posted? I started a simple newsletter geared only to update readers who want to know when I update the blog, and I created a sign-up form. The list started with just three names; me and two writing friends who were also doing the challenge, but it’s slowly growing. This means I have more contacts with whom to share my news in the future. 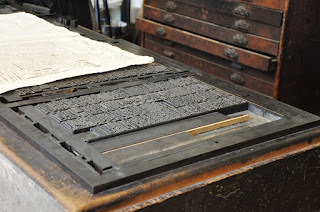 Newsletters are fun to produce, but they can become cumbersome and difficult to keep up with. If you are simply doing one to notify your readers of a new post, it doesn't need to be long, in fact you must honour your commitment to let them know about the latest post, and not write a full-on newsletter. You soon learn the technique of producing an attractive but simple newsletter that relates to your readers. 15. O is for Opportunity. Blogging gives you the opportunity to find out how much material you have on a topic. Periodically, I have an Ah-Hah! moment. “I could write a book about that!” But could I? Blogging gives me the opportunity to find out. How much do I actually know about the topic? How much information is available on Google or in books that I own? Will I need personal illustrations and anecdotes? Do I have enough? Blogging offers the opportunity to gather information for a forthcoming project. By asking questions of my readers, I can gain further insight into the subject. So a good way to end a blog post is to ask a question. See if you can encourage interaction. I once wrote a series of articles on International English. In my final post, I asked my readers if any of them had funny stories to share. The result was another post. Blogging can attract attention to your work. I have heard of writers gaining the attention of an agent or a publisher who has read their blog material and offered them the opportunity to write it up as a book or as an article. Do you have a topic you feel would make a book? Is there a way you could explore it through some blog articles? Does the idea excite you? Or does it make you nervous? Why? Share with us in a comment below. 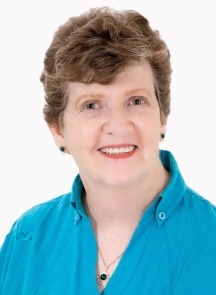 Visit Shirley at her writing home, ShirleyCorder.com where she encourages writers, or at RiseAndSoar.com where she encourages those in the cancer valley. You can also meet with her on Twitter or Facebook. Sign up to receive a short devotional message (bottom right) from Shirley in your inbox once a week. Blogging keeps me relevant and in the rhythm of writing. These tips are great, Shirley. Thanks Kathleen, so true. More so, I think it even gets you back in the mood if you've wandered off course! Shirl, 4 more great tips on why we should be blogging. Another one for opportunity is you never know who'll stumble upon your blog. Brian Klems of Writer's Digest happened upon mine and I was honored with WD's Website of the Week, back in 2012. So, you just never know. Thanks Karen and how exciting! Congratulations. Shirl, I especially love the networking opportunities. Having your own blog is incrementally better than utilizing others blogs, especially for this purpose. Shirl, Great tips and I agree with Kathleen that it helps keep the rhythm of writing. Thank you Mary Loud and yes, I agree too.